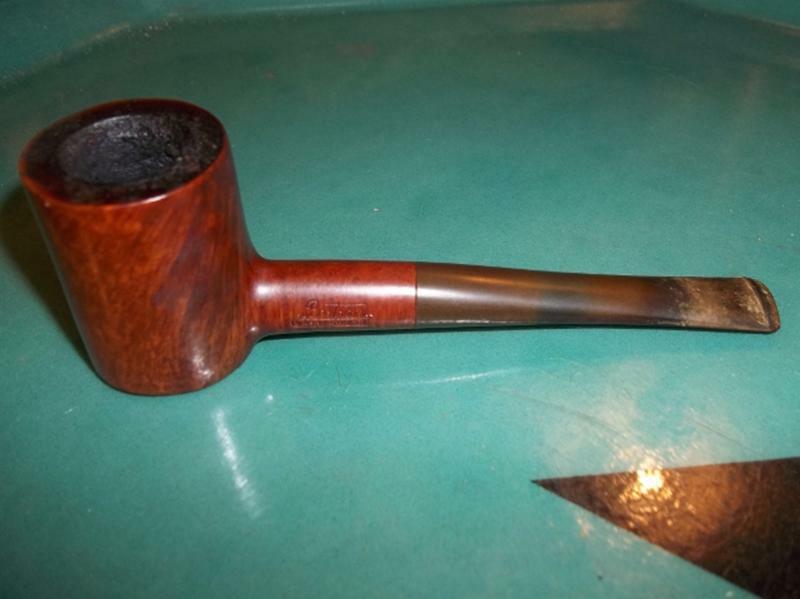 I have been looking for a nice upper grade (Grade 50 or above) Bertram Poker for a while. I had almost purchased a couple of lower grades and one 50 grade but they were all either to expensive or pretty beat up, so I kept holding out for the right one. 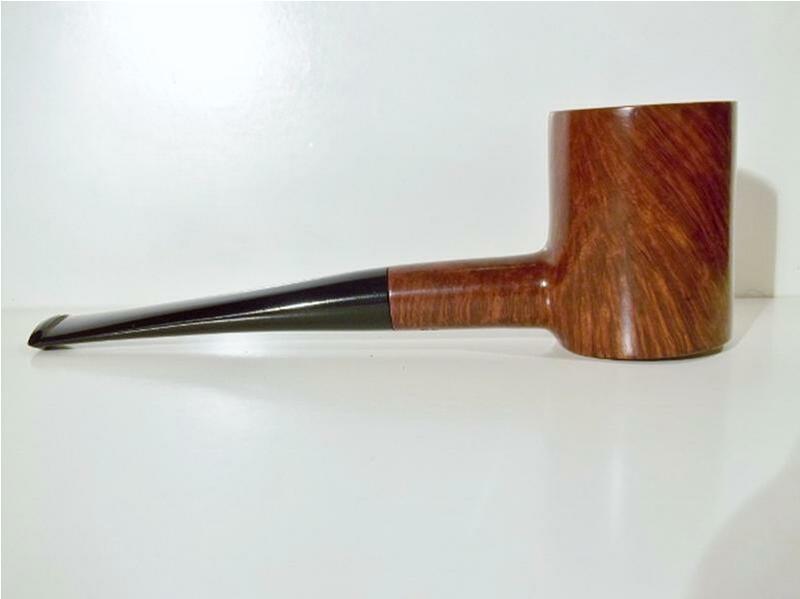 When this nice example of a 60 grade came across my path for a modest price I knew my patience had paid off. 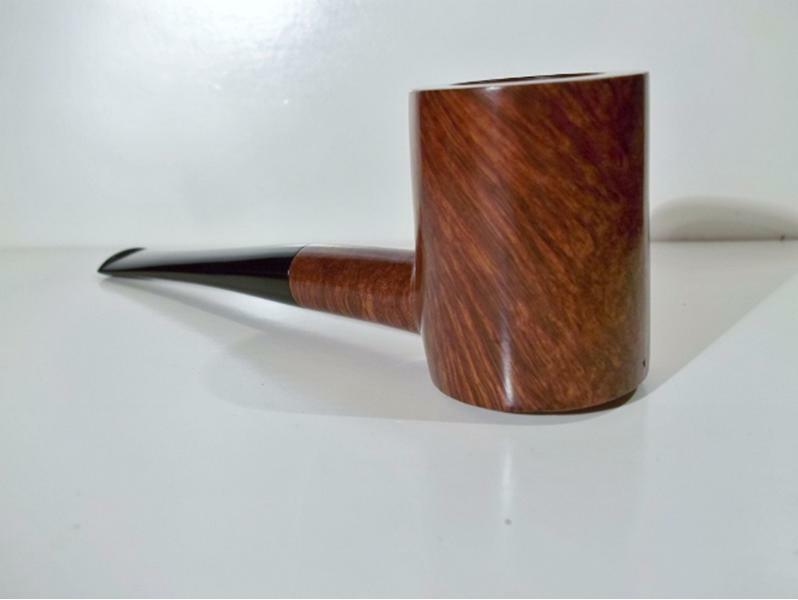 This makes my 2nd Bertram pipe. 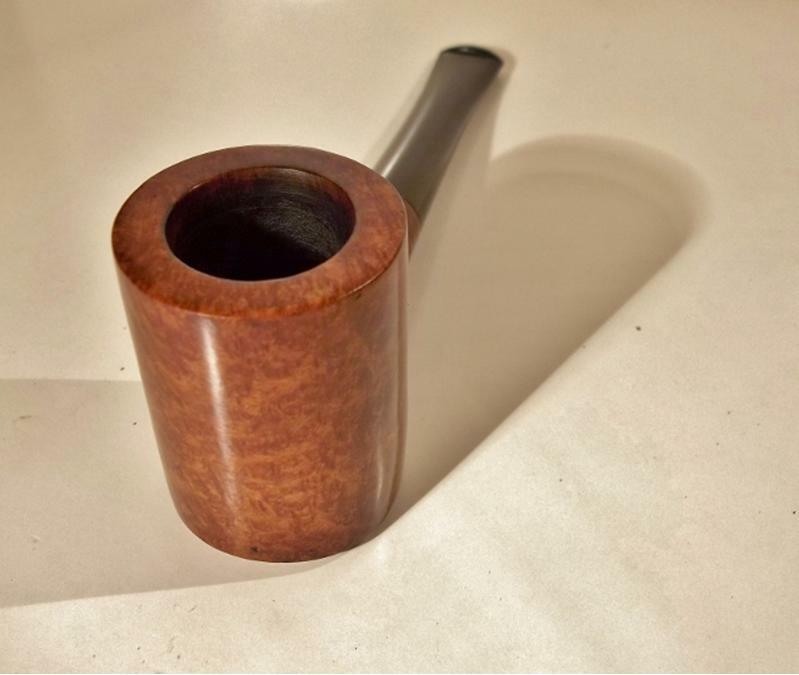 The other being a straight Cutty and it is an excellent smoker. 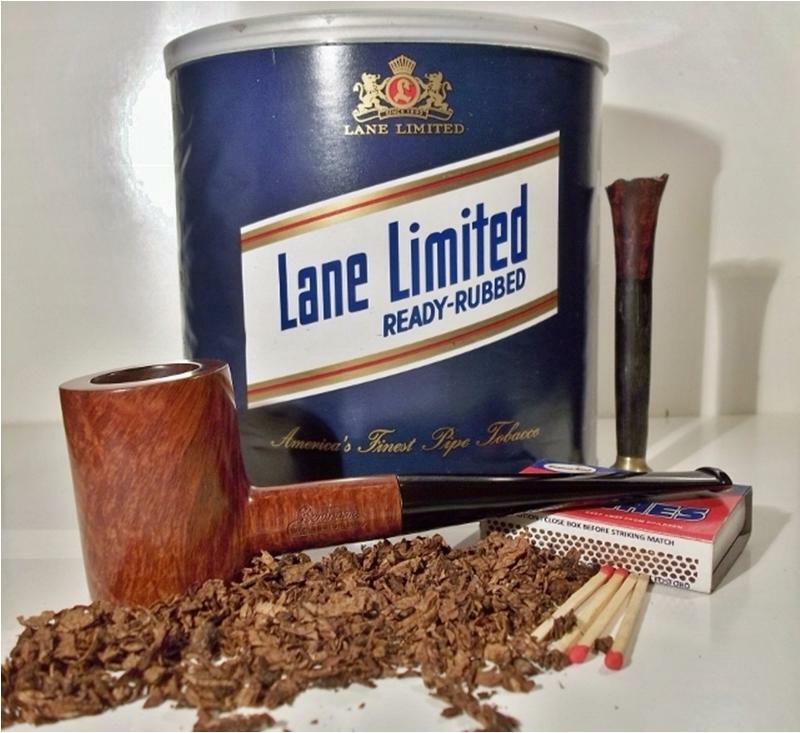 They are some of my highest end estate pipes. I very much like the quality of them and the long interesting history they have. If you don’t know much about them I recommend doing a little research on them. 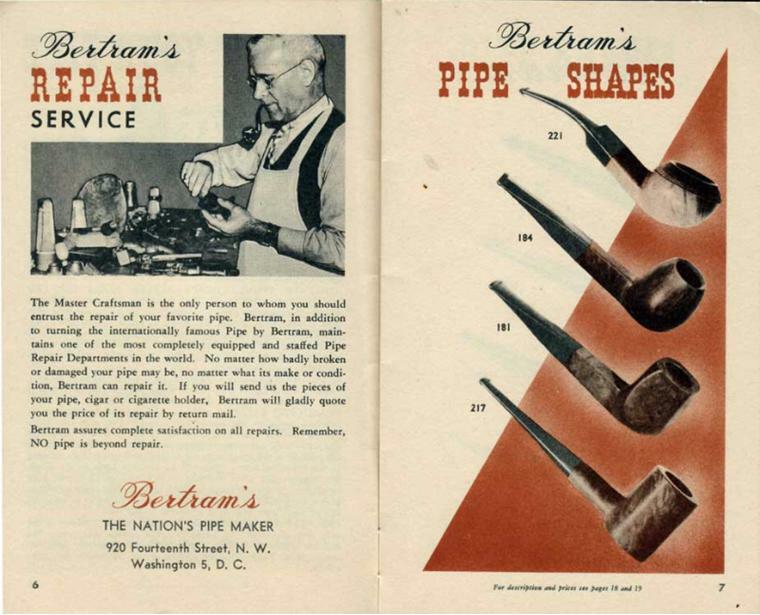 Bertram pipes were based out of Washington DC. They were popular among famous politicians and celebrities of the time. 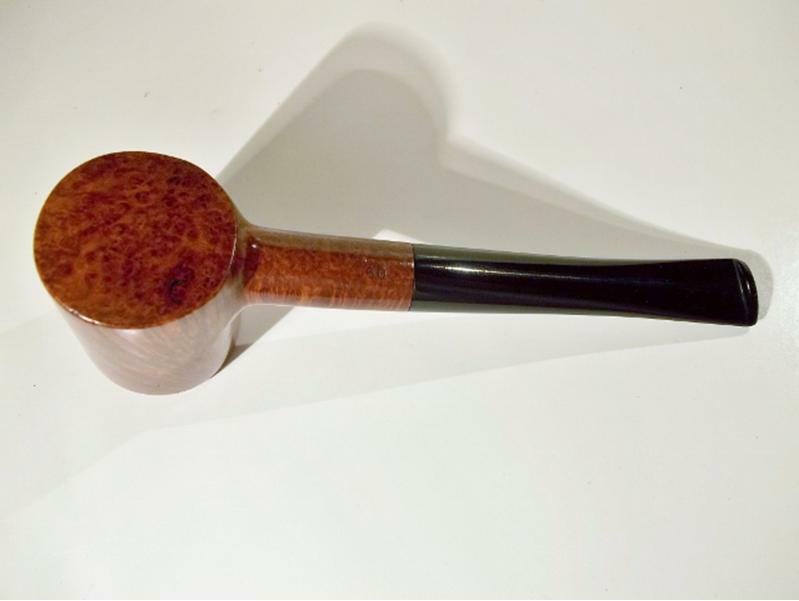 They made many products for them from FDR’s cigarette holders to Joseph Stalin’s favorite pipe. They were considered some of the best America had to offer till they finally closed their doors in the 70s. 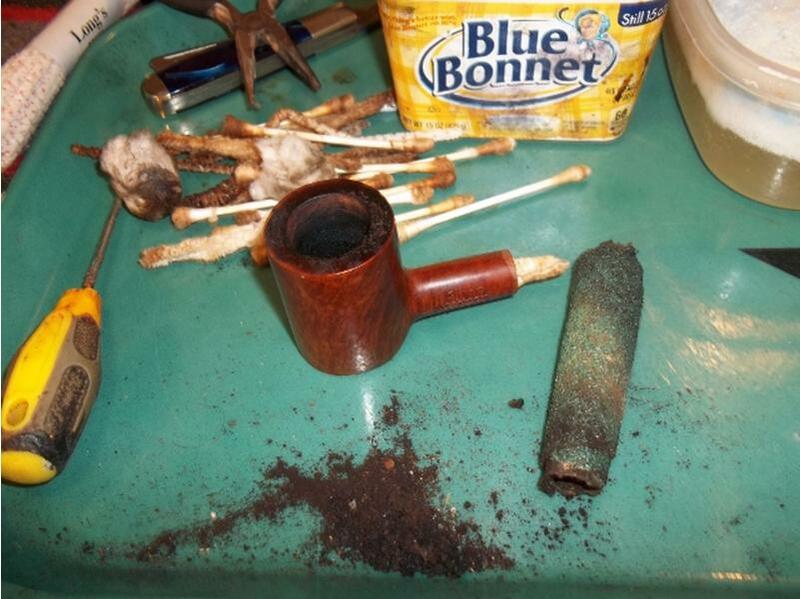 They graded their pipes by 10s, the higher the grade the better. Above 60s are uncommon and 80-90s are quite rare. I’ve never heard of or seen a 100 grade. 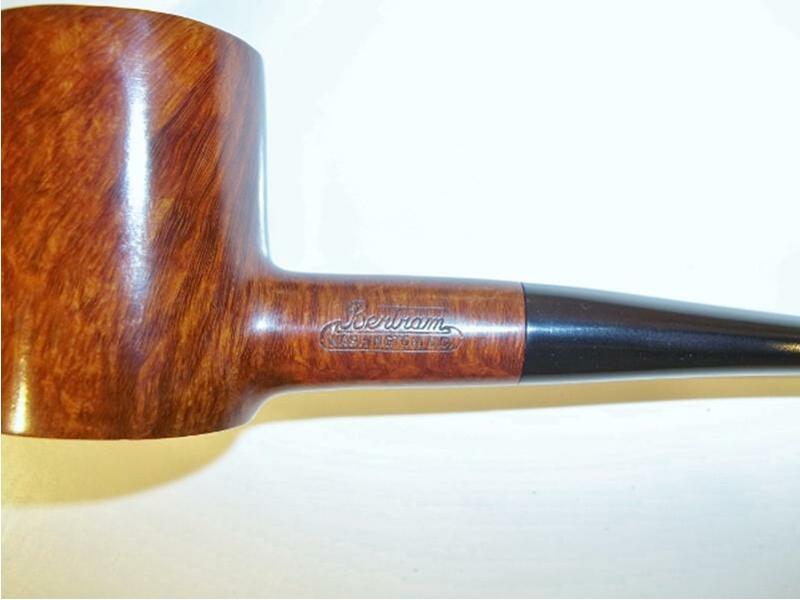 Here is a link with some brief history of Bertram pipes on Pipedia. 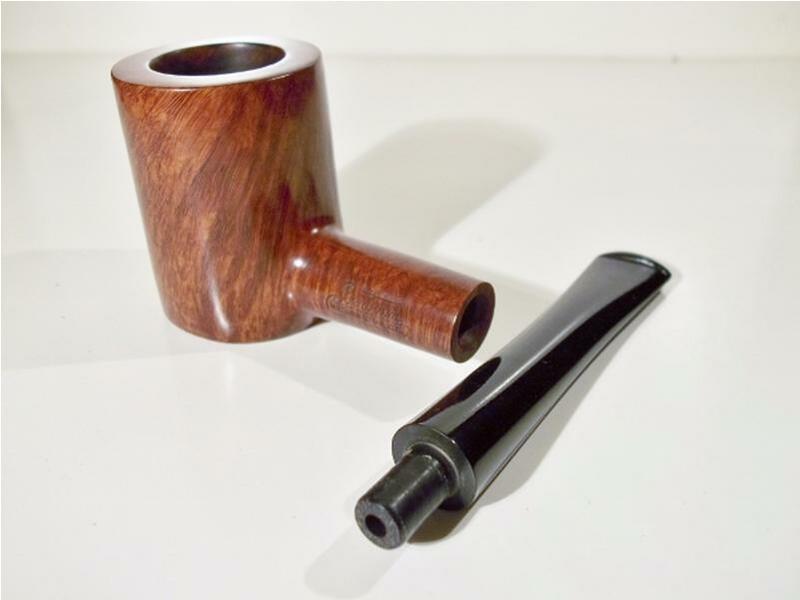 I found this image of from a page of a Bertram pipe booklet that shows the poker shape number of 217.
http://pipedia.org/wiki/Bertram This is what the pipe looked like when I received it. Other than being dirty it’s in excellent shape. It’s hard to put a date on it but it’s at least from the 70s and maybe as far back as 40s or more. Bertram started in 1927. 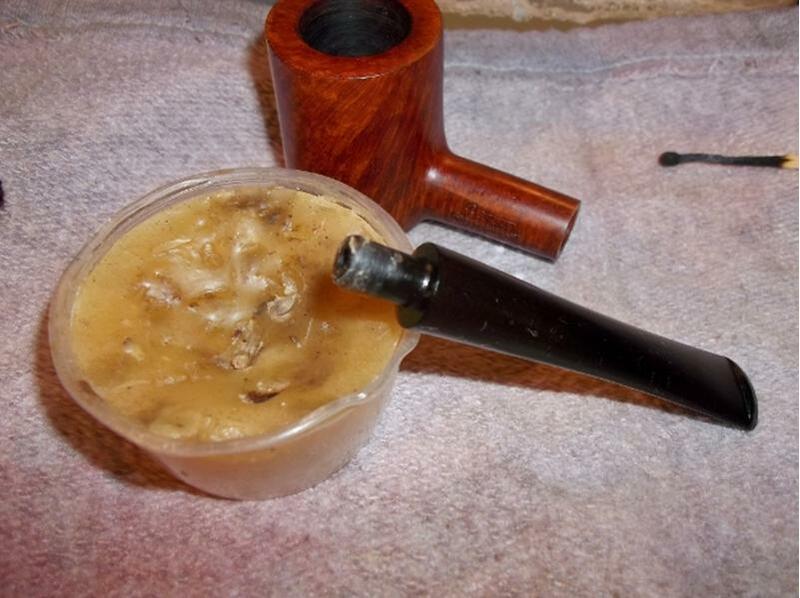 I started by cleaning out the bowl and shank. The cake came out very easily and the cleaning was not that difficult. 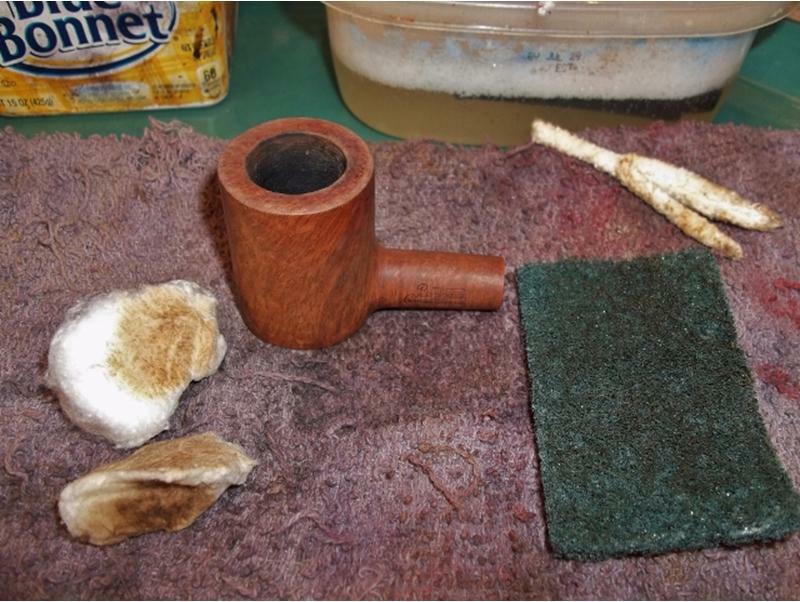 I then cleaned and stripped off old wax and rim residue with Oxy Clean, warm water, cotton balls and a Scotch Brite pad on the rim. 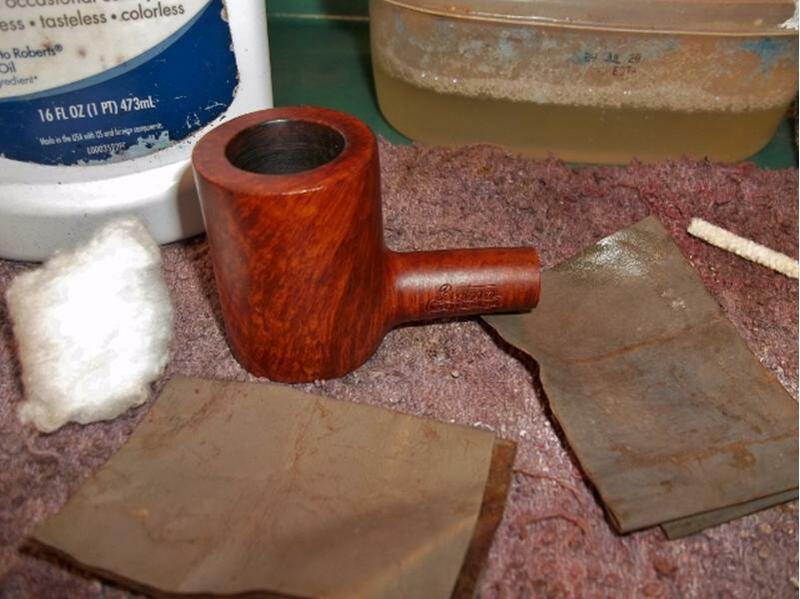 I then wet sanded the bowl with mineral oil and 1200 to 2500 grit sandpaper. 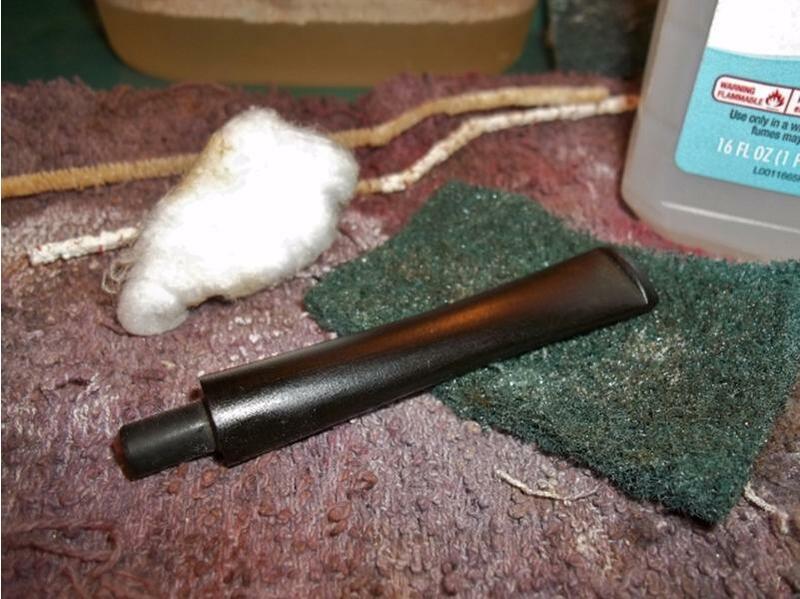 After soaking the stem for a couple of hours in Oxy Clean and warm water I scrubbed off all the surface oxidation with a Scotch Brite pad. 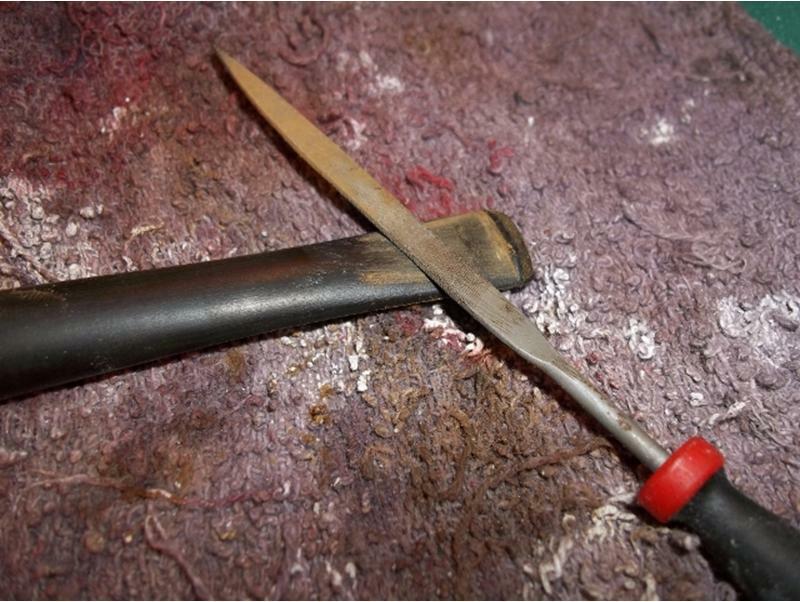 I had a couple of small tooth marks to file out. 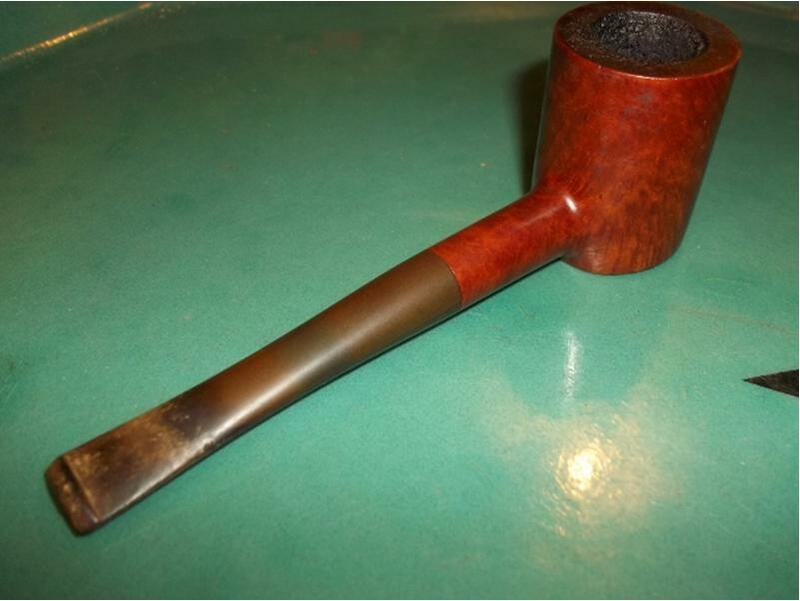 Then I wet sanded the stem with 400-2500 grit paper. 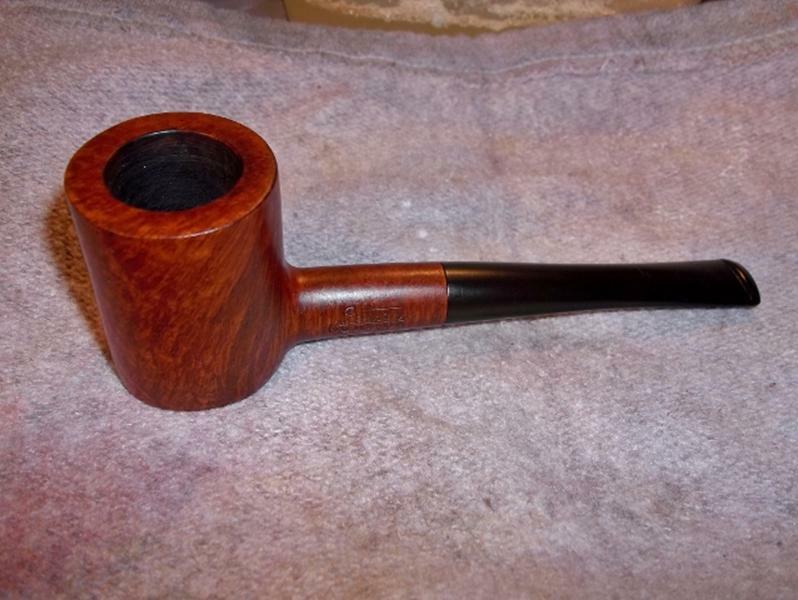 The stem was fitting rather tight so I applied some bee’s wax to the tenon. 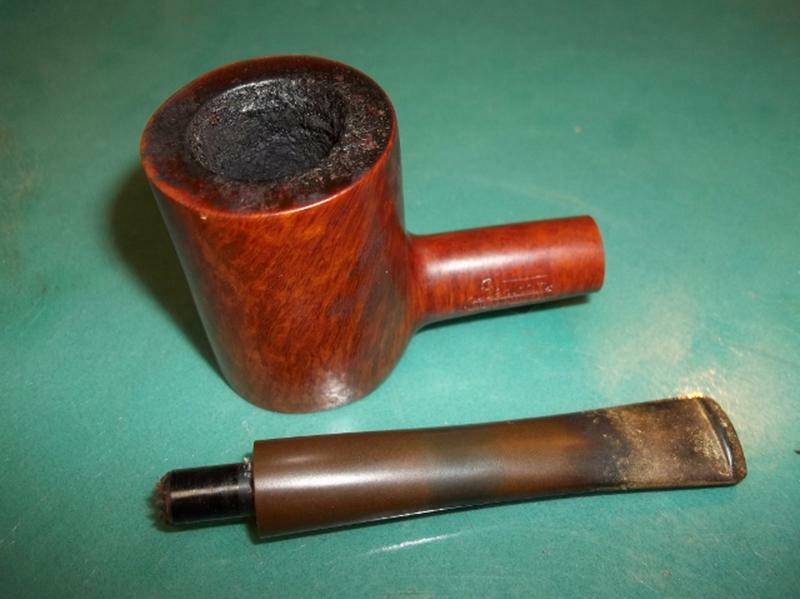 The bowl and stem back together with a mineral oil applied and wiped off for a quick inspection before buffing. I gave it a quick buff with some brown Tripoli before applying some white Tripoli then many coats of carnauba wax. 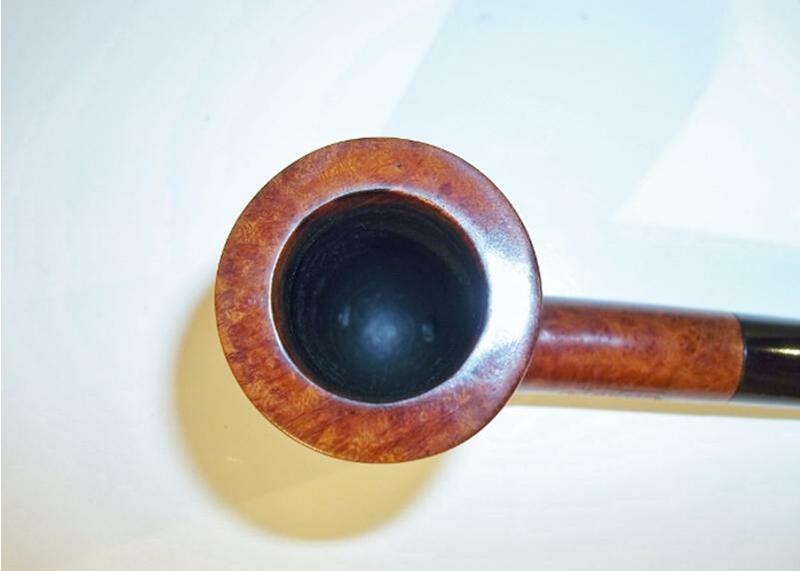 After applying wax and finished pipe. 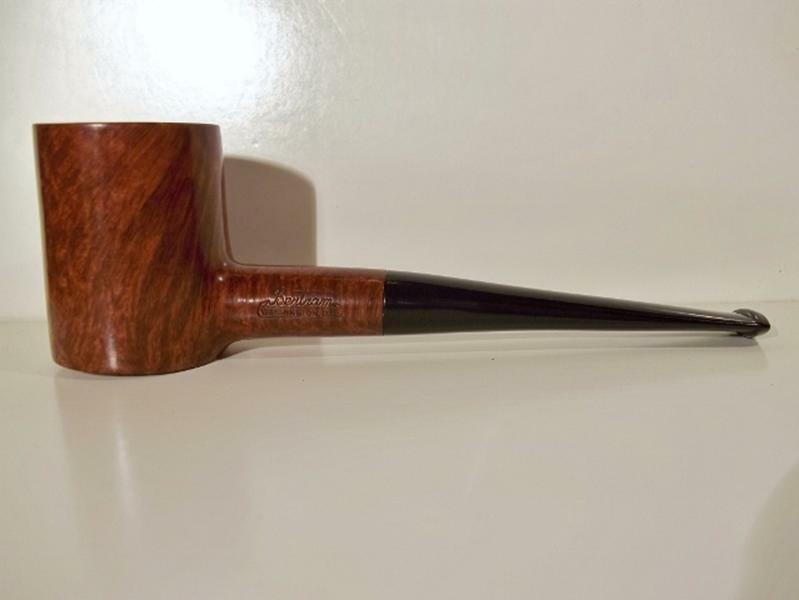 There was one small flaw in the briar. I decided to leave it as is. 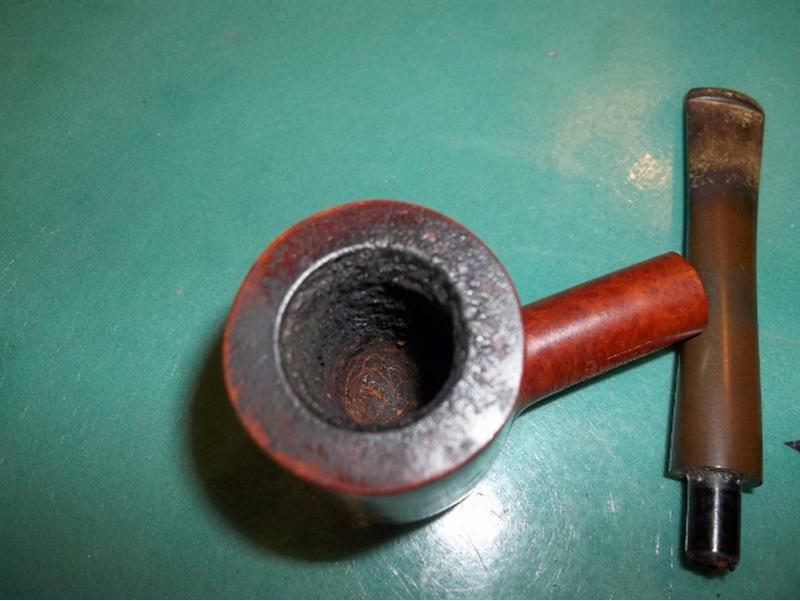 Very nice stampings on pipe. 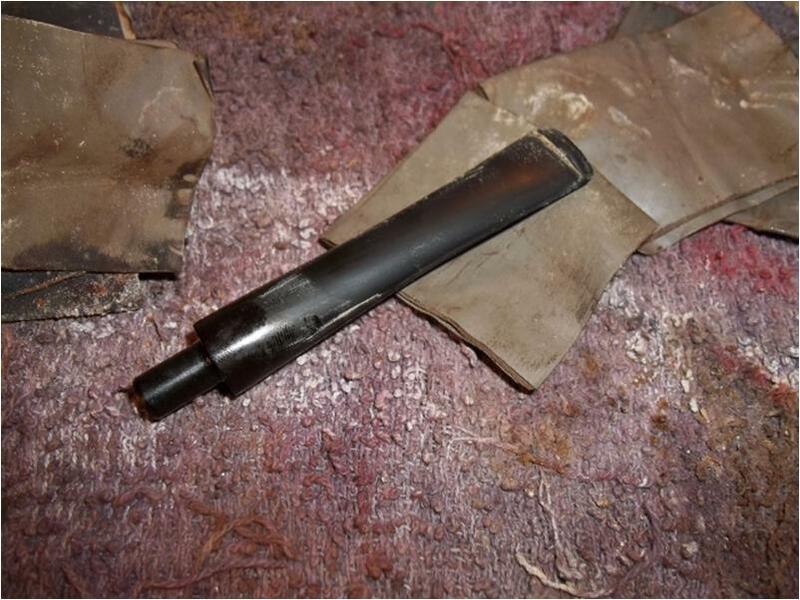 All in all it was a very simple refurbish due to its condition. I’m very happy with the way it turned out and have intentions of adding at least one more Bertram to my collection. 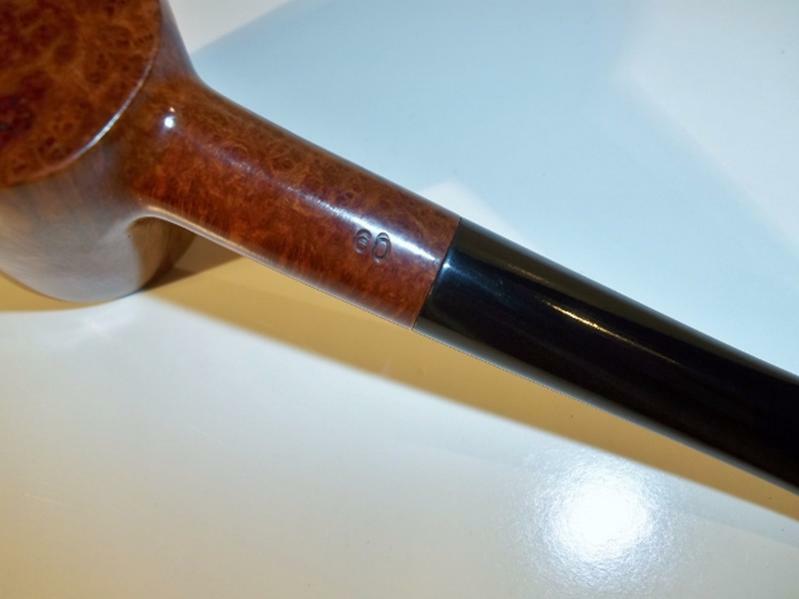 Hopefully a large straight billiard. 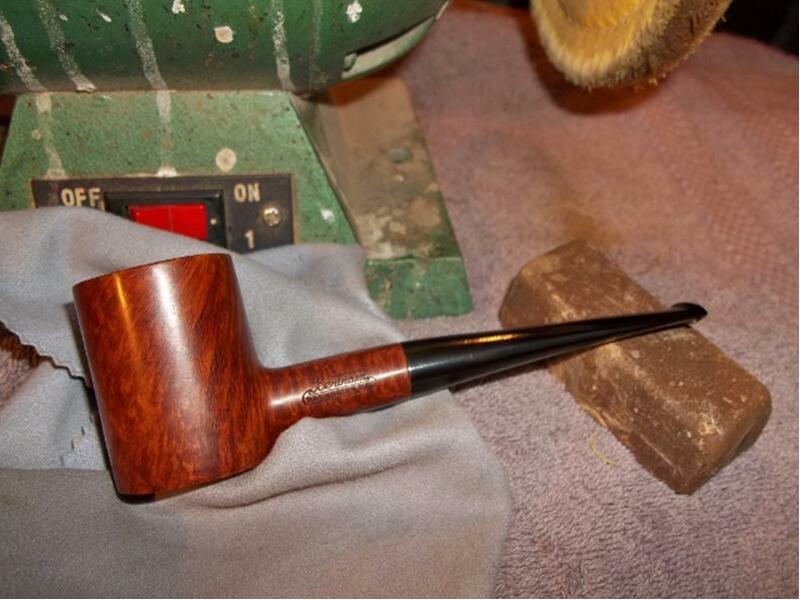 This entry was posted in Pipe Refurbishing Essays and tagged article by Troy Wilburn, Bertram Grade 60 217 Poker, Bertram pipes, Bertram Poker 60 217, Bowl - finishing, Bowl - refinishing, Oxidation, pipe refurbishing, polishing, polishing a stem, refurbishing, removing oxidation, removing tooth marks, stem work, Troy Wilburn articles on June 16, 2015 by rebornpipes. Wow, that’s fabulous. I’m currently working on a 20 Bertram and the difference between that and a 60 is tremendous. Mine was full of fills to fix. Troy thanks for sharing this beauty with us. 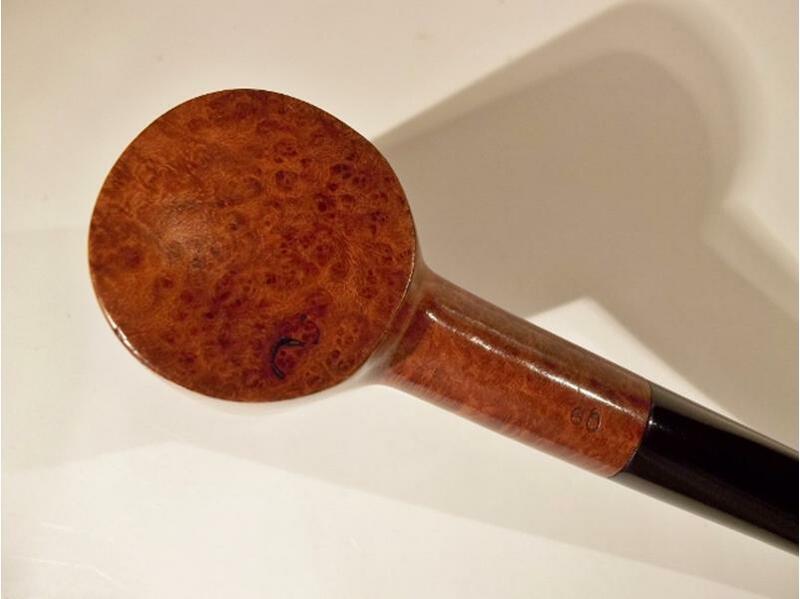 Great pictures, and that is a fine piece of briar! Another job well done, Troy! That turned out fantastic. I think that pit on the bottom gives it some character. Err i meant thinking . Fantastic restoration, I am impressed. Thanks David. Troy did a masterful job on that old Bertram. Thank you David and Steve . 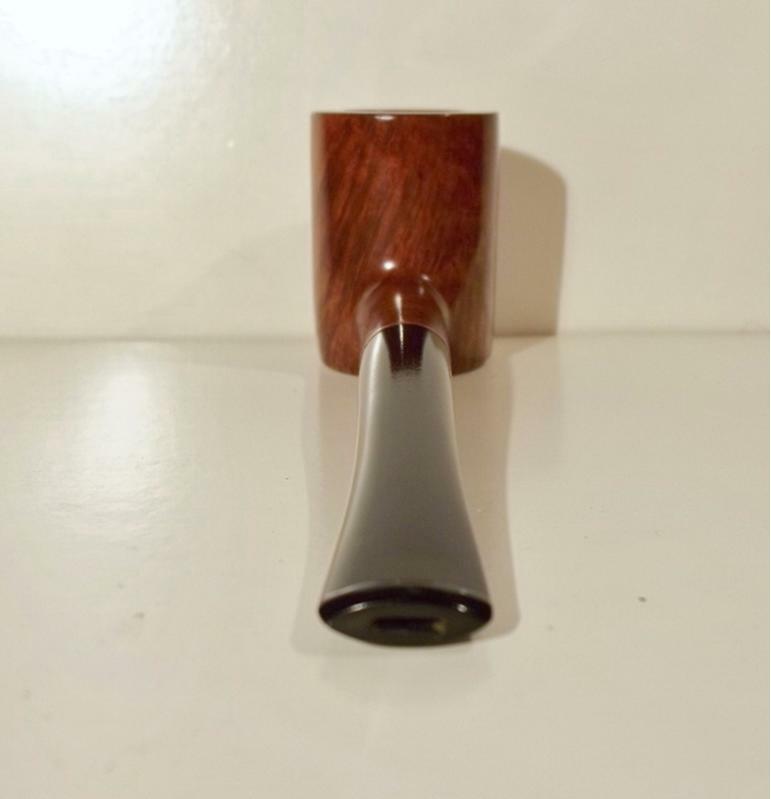 Its a wonderful smoker too .